Microsoft inaugura outlook.com para tratar de revivir hotmail? 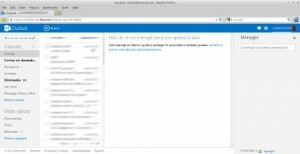 Ayer microsoft inauguro outlook.com, su nuevo servicio de correo online asumo que con la esperanza de darle un nuevo aire a hotmail, o habra algo mas detras de este nuevo sitio? This entry was posted in Internet, Microsoft and tagged hotmail.com, outlook.com, skype, webmail on August 1, 2012 by rantsh.